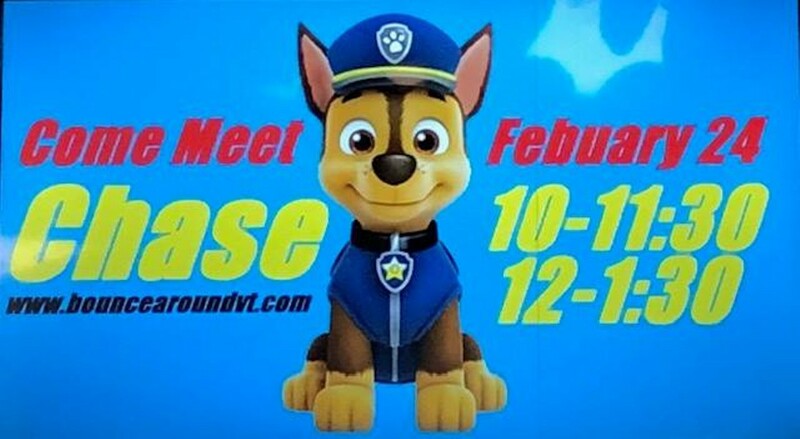 Meet Chase from Paw Patrol | Bounce Around Fun Center | Fairs & Festivals | Kids VT - small people, big ideas! Admiring fans meet and greet Chase, get photo-ops and have fun bouncing and playing. Ages 10 and under. Price: $8 per child; includes admission to fun center; free for adults and non-walkers.